come with a police patrol boat and a bandit’s boat. 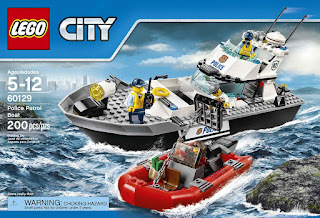 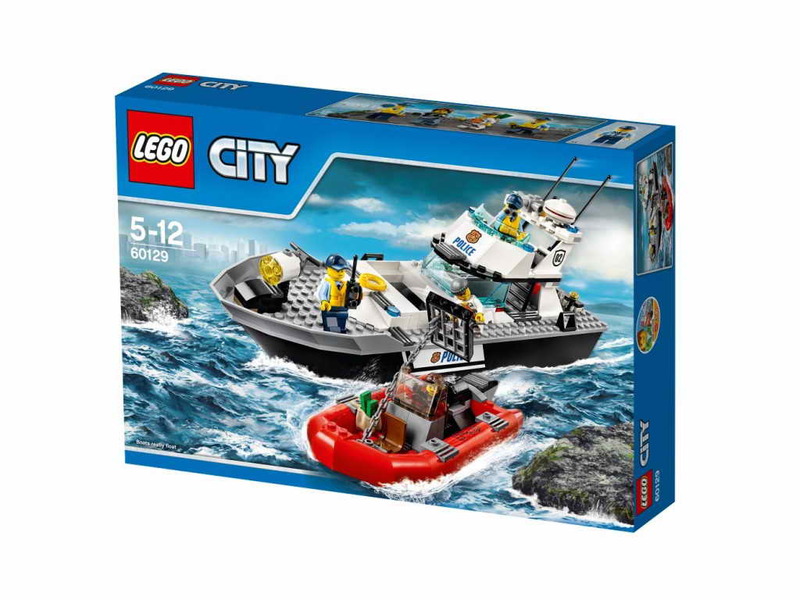 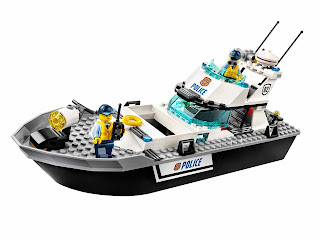 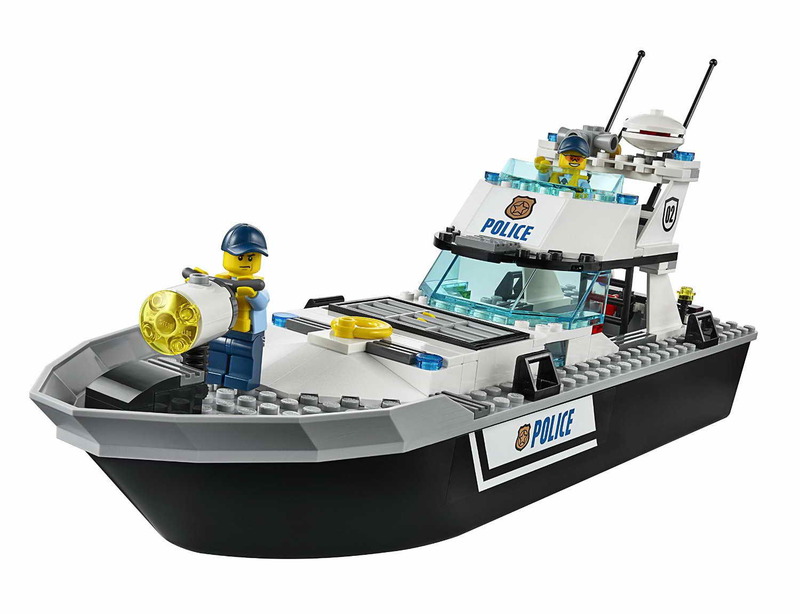 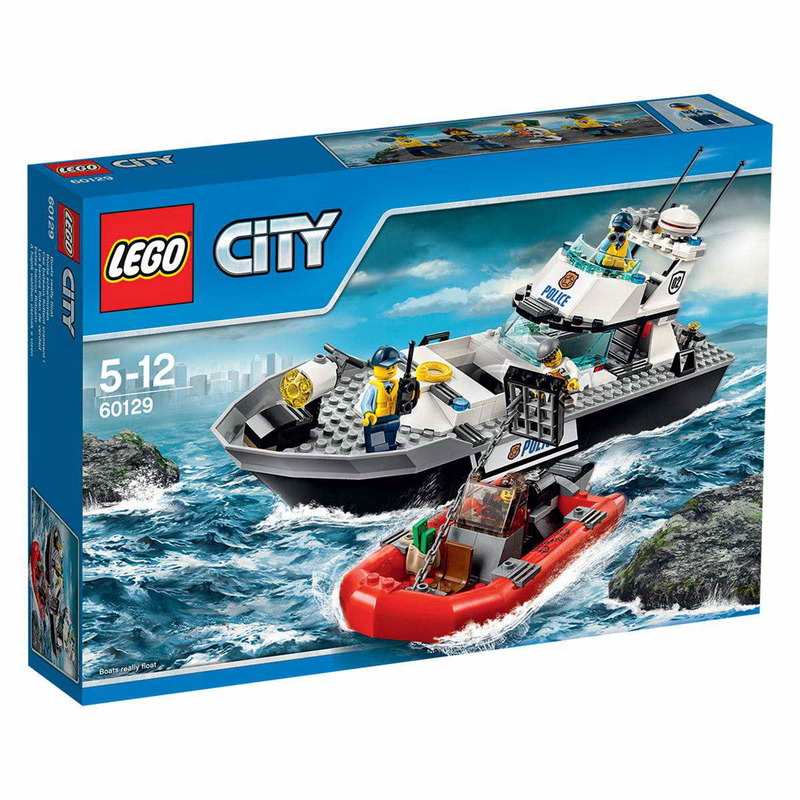 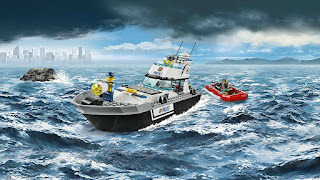 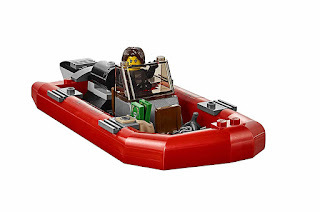 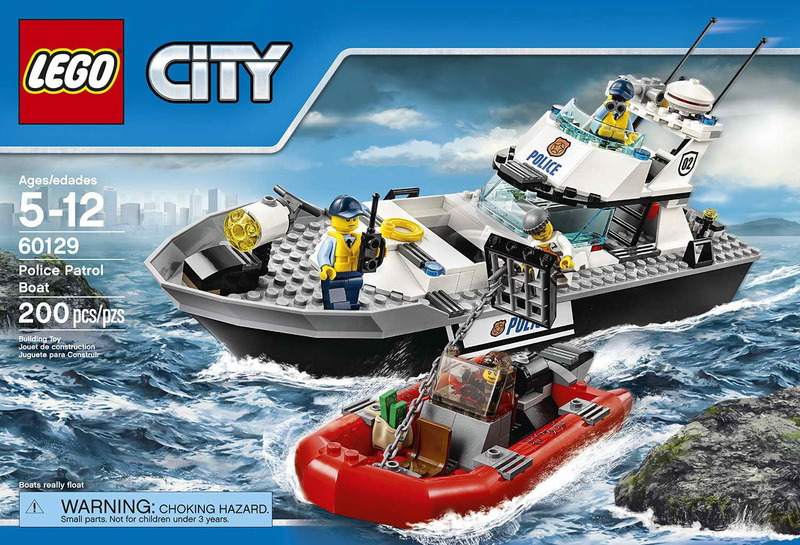 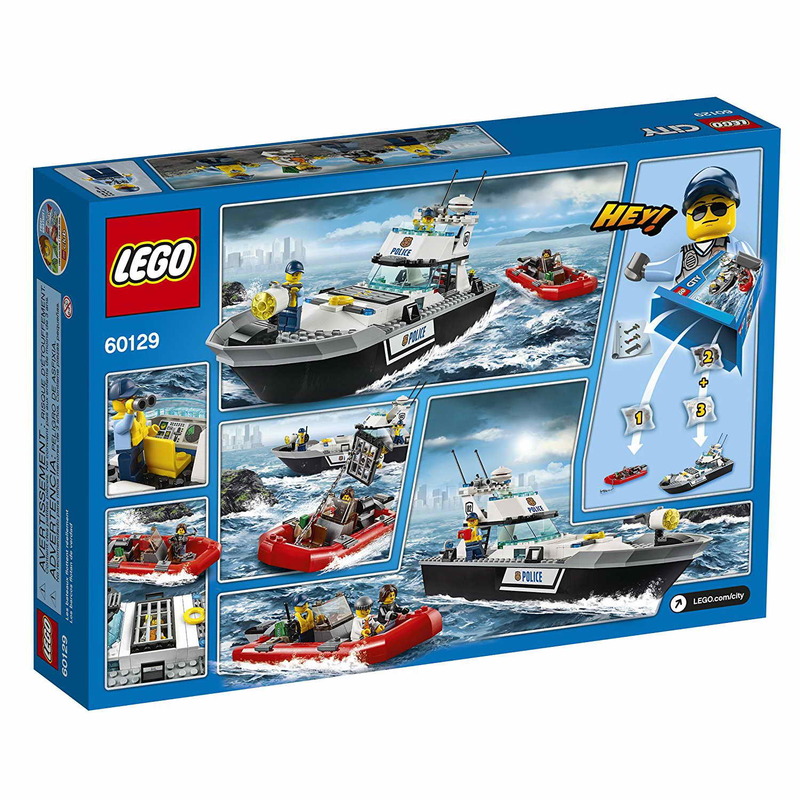 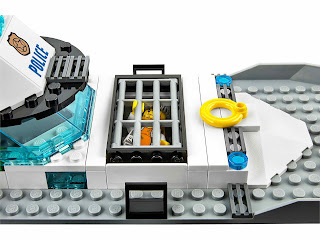 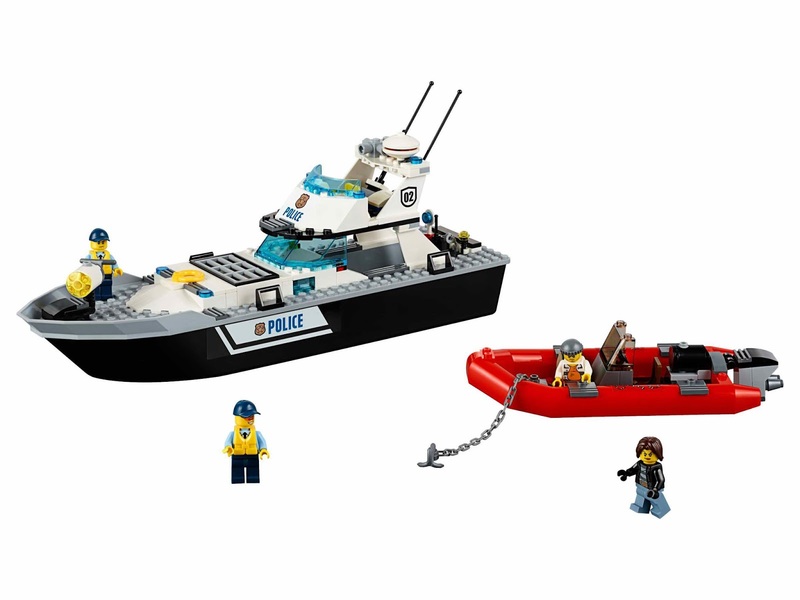 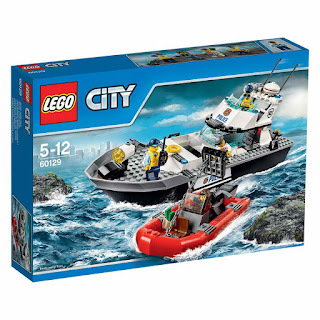 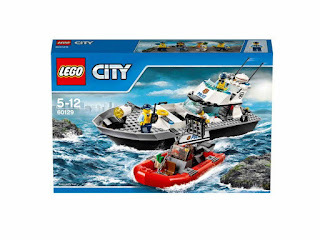 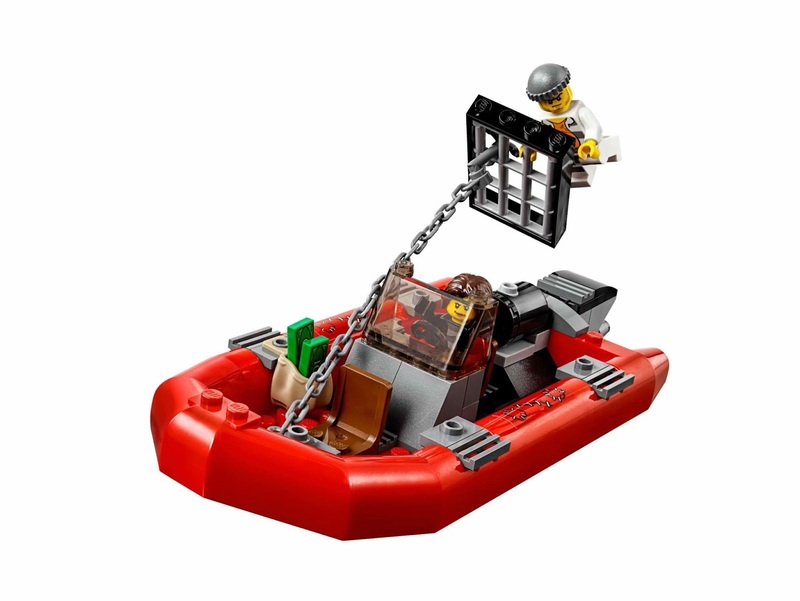 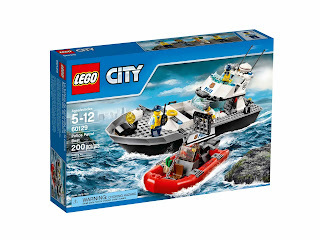 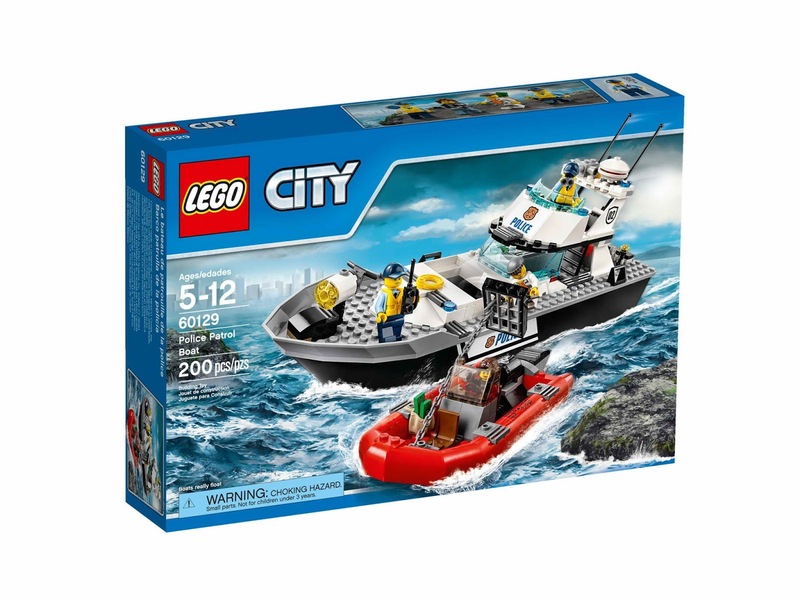 police patrol boat has a brick built spotlight and a breakable cell. 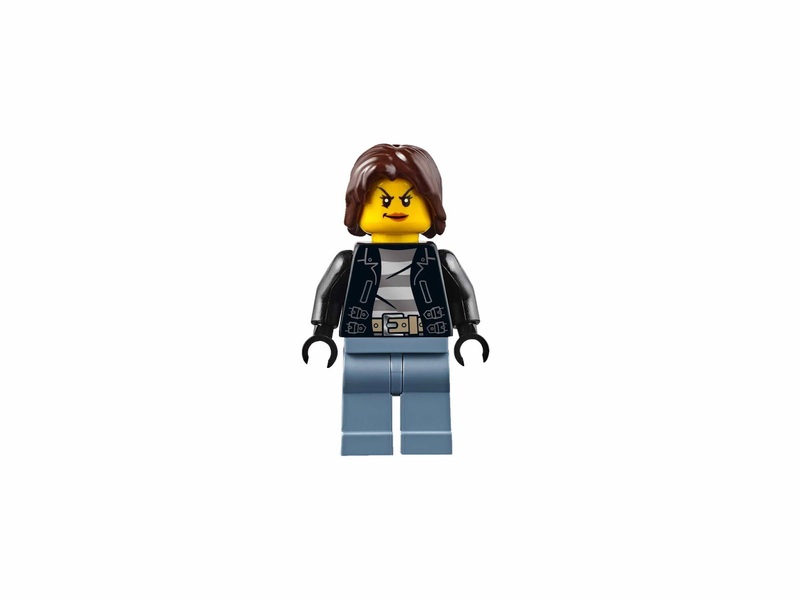 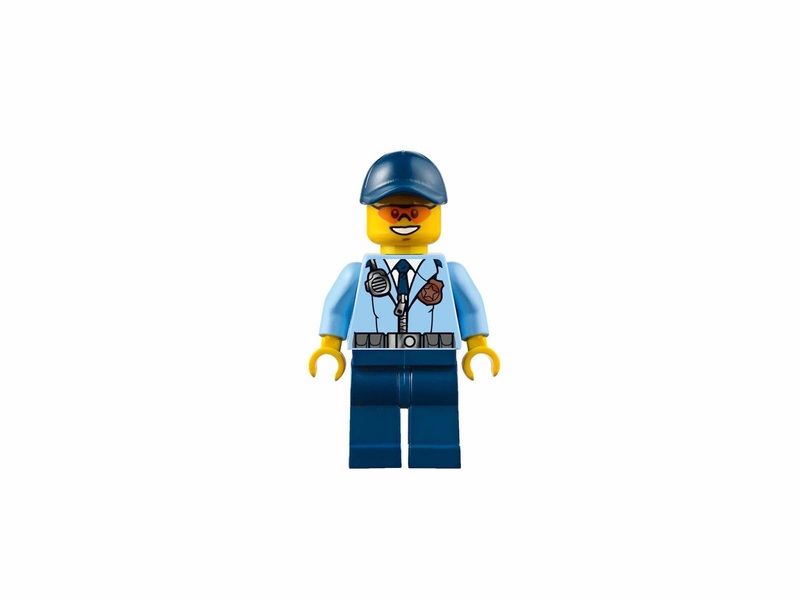 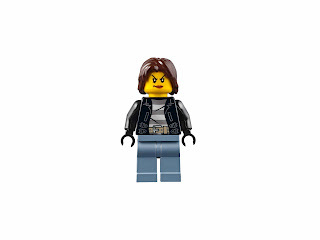 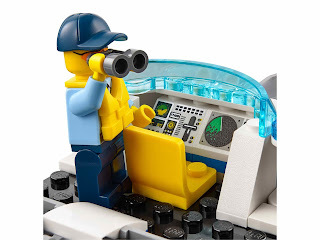 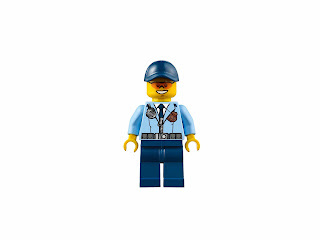 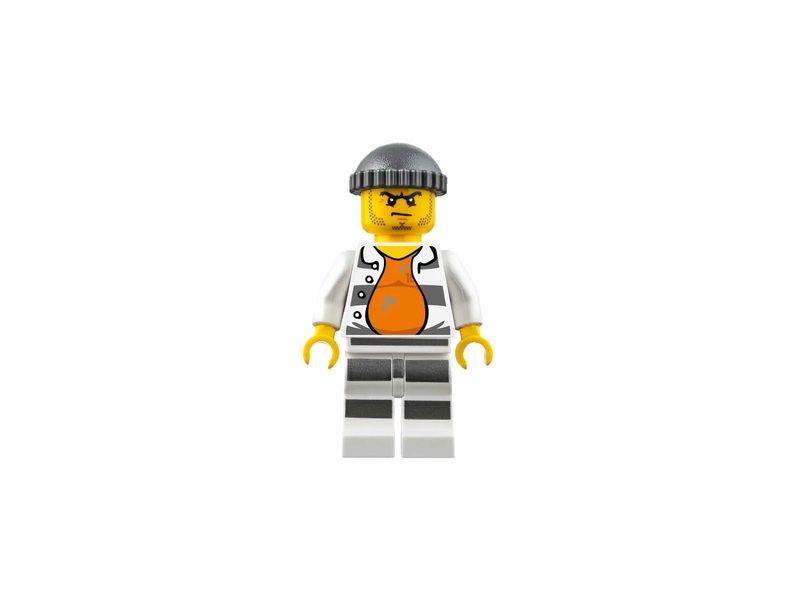 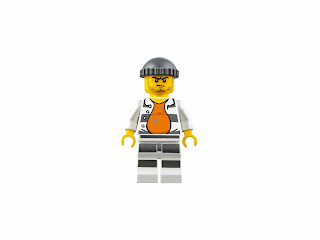 minifigs included a policeman minifig, a policewoman minifig, a female bandit minifig and a male bandit minifig.